Before I was able to add the printer, I had to connect it via USB to the printer and add the USB version of the printer. 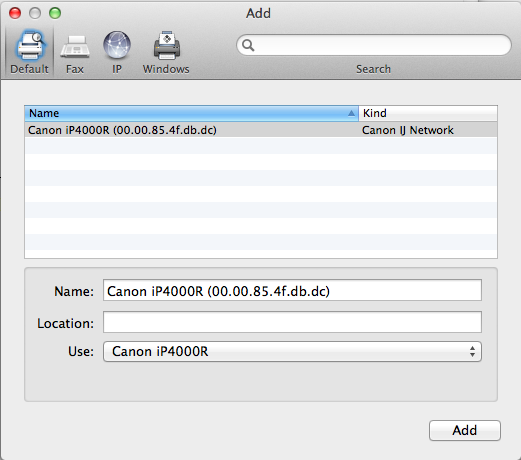 I was then able to add the Canon ijnetwork printer using the normal method of adding a printer in System Preferences. And delete the USB version. Edit: now tested with OS X 10.10 Yosemite as well.